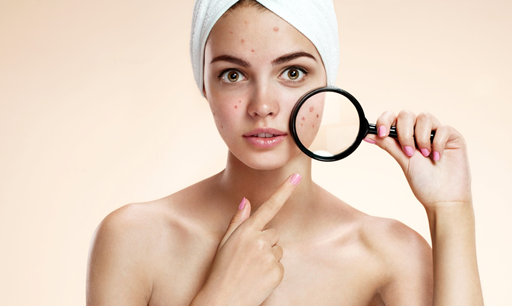 The three main types of acne are the comedonal acne, inflammatory acne, and cystic acne. Comedonal acne is mild and involves whiteheads and blackheads. The natural skin oil mixes with old skin cells and blocks the skin’s pores. This type of acne is most commonly seen on the chin, forehead and nose. Inflammatory acne is the next stage after blackheads and whiteheads. The plug underneath becomes inflamed and turns red. Cystic acne is the most severe form and develops when the inflamed plug becomes infected. This type of acne may be hereditary and can be very painful and result in scarring. A skin care professional in Folsom, CA, such as The Healing Station, can help you control acne outbreaks, avoid skin damage and scarring, and reduce the appearance of acne scars. The type of treatment required will depend on the kind of acne as well as on additional factors that appear to trigger outbreaks. An anti-inflammatory peel can treat acne lesions. Alpha and Beta Hydroxy Acids are anti-inflammatory agents that actually heal the lesions. These organic acids are found in foods and are used topically on the skin to remove dead skin cells, one of the main causes of acne. They reduce the appearance of acne scars while smoothing and firming the skin, giving it a more youthful appearance. Along with removing the top surface of dead skin cells, the acids also increase the thickness of deeper layers of skin, promoting firmness. Acne is a common skin ailment for both teenagers and adults. Many cases can be effectively treated with organic peels that remove the dead skin cells and treat the lesions. Schedule your skin care treatment in our Folsom office by calling theHealing Station today at 916-294-9980 or book online by clicking the “SCHEDULE ONLINE” link.